Five years ago… Sabrina left Boston anticipating her stay back home to be full of joy and hope. Instead, she became the leading role in her own living hell. Nothing more than a shadow of her former self, she escapes a malevolence determined to break her, and returns to Boston, trying to regain a semblance of the girl she once was. Five years ago… Chase lost his heart and has compared every woman he encounters to the green-eyed beauty he met on the yacht. His life didn’t turn out quite the way he expected, but he has grown stronger through his trials. Now, a marriage deadline is looming and the woman he wants seems to be a ghost trapped in his past. 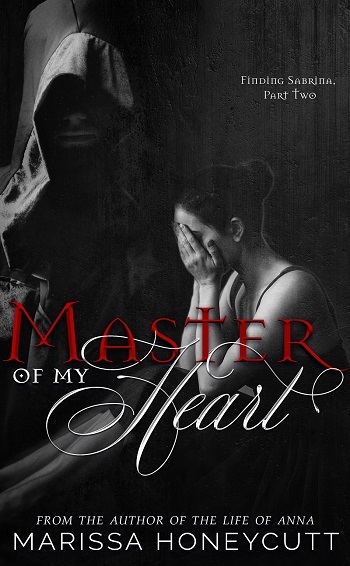 Master of My Heart is Part Two of a four-part series. It must be read in order, or nothing will make any sense. He quickly rattled off the first set of steps, then motioned to the pianist to begin. It was a typical warm-up. Plié, plié, grande plié. Pordebra. Repeat. Second position. Plié, plié… Repeat. Second set. Tendus. Third set. Tendu/degage. The sets became more complicated as the warm-ups progressed, which was how every class had begun since Sabrina started dancing at the age of three. Her eyes teared up at the sudden and painful memory of her mom sitting on a bench watching her. The ache in her heart took her breath away, but she pushed away the memory and concentrated on the steps. Around the fifth set, she had to listen carefully. 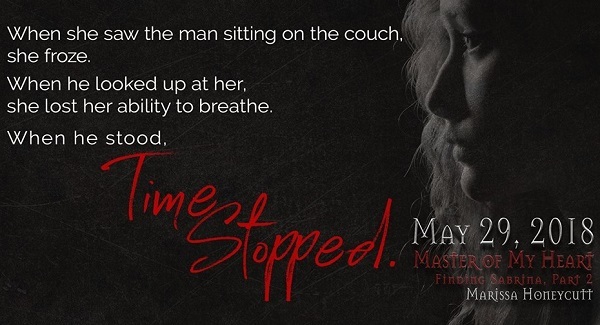 She closed her eyes, translating Martin’s words into movement, and waited for the music to begin. A minute into the set, she heard him clap his hands twice and the music stopped. Sabrina opened her eyes, disoriented for a moment. She had been lost in the dance. She was facing the opposite way that the entire rest of the room faced, meaning she was looking at number 43. Sabrina let out a little gasp and spun around, staring at the floor, shoulders slumped. Martin walked up to her. She didn’t look at him. Sabrina heard whispers around the room. She nodded, blinking back tears, still not looking up. “I thought that’s what your instructions were,” she whispered. Sabrina blinked, not quite understanding what he meant. “You are an intelligent dancer, Number 44.” He gave her a big smile. “And an excellent listener. Good job.” He turned and walked back to the front of the room, his steps echoing across the silence. Sabrina stared at his back as he walked away, tears still wetting her cheeks, but her heart soared. I did something right? Oh, Marissa Honeycutt how I've missed thee!! First of all, this is a dark book – very, very dark and depraved. Most of the harrowing BLACK scenes are told through memories, but we take a front row seat to these. If you've read the Life of Anna series by Honeycutt, then you will understand my above statement. You will also already have an understanding of the paranormal aspect of the Brotherhood, and the world that Finding Sabrina is rooted in. This does not mean that you need to read the other series, although they were fantastic books! Sabrina is a young woman who has lived through unbelievable horrors, she is now learning to live her own life. This isn't without difficulty. Chase has his own secrets... but he's never stopped looking for Sabrina (swoon). This story picks up from the crazy ending of part one and just never stops! As per usual, I'm not giving anything away. I'm head over heels in love with Chase, my heart hurts for Sabrina, and I NEED to know what happens next. This is the second book in the series, and you most definitely need to read them in order. Even better, read the Life of Anna books first – but do it in a brightly lit room, because the dark, oh the dark invades one’s very soul. I had to take many frequent breaks whilst reading this book. I think it is because Life of Anna was significantly more overtly paranormal, the terrible was part of the unreal, but here it feels much more awful – or maybe I am just more sensitive than usual. But really, sunshine, reminders that this is not real, and a few sanity breaks might be wise! Somehow, I spent the whole time I read this on a knife's edge. I am still a few hours after finishing it, still there. So much depravity and awful treatment of Sabrina just... wrong. I feel that Marissa Honeycutt got us so deep inside the bad that I am not sure it will be easy to ever forget it. Oh, so dark. I really can't give you more than the warning above, but a reassurance that there is some goodness to be found and clung to as well. Particularly the early parts where Jayson and Liz provide her with some normal, and then the confusion Chase's return causes. He is not exactly what I was expecting. Be warned, absolutely NOT for the faint-hearted (or possibly even the normal-hearted, like me) but an amazing second installment. For reviews & more info, check out our Master of My Body post. "If Stephen King got together with Tom Clancy and wrote an erotica book..."
...is how Marissa describes her books when asked. She doesn't seek to write any particular genre, style, or length, only following her gut instincts and the lead of her characters. The Life of Anna crosses many genre lines including erotica, suspense, psychological thriller, horror, political conspiracy, paranormal, and romance. Marissa's story of Anna began with a dream about being kidnapped with Adam Savage from Mythbusters (Yes, really). Over the next year and a half, it morphed into the story that is now known as The Life of Anna. 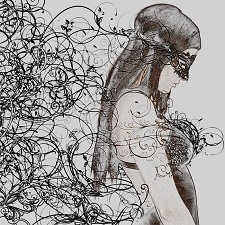 She has also published Distorted Hope, which is based on her kidnapped dream. Abandoned Grace was published last year as a side story to The Life of Anna. Marissa stays busy running her household, fending off two adorable kittens, and interacting with her readers on social media. She is a self-proclaimed geek and is striving to learn the basics of graphic design. She is also actively pursuing a more natural lifestyle, which includes essential oils, natural cleaning products, and whole, organic foods. Marissa's addictions include the Science and History Channels, anything chocolate mint, vintage books, cute kitty cats and laughter. 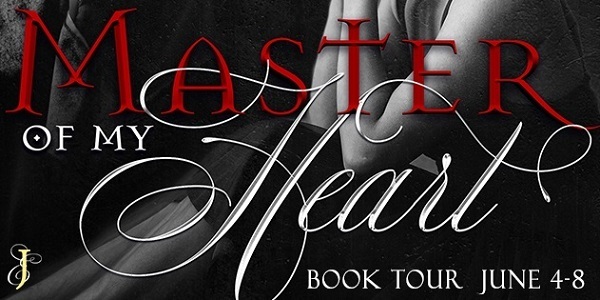 Reviewers on the Wicked Reads Review Team were provided a free copy of Master of My Heart (Finding Sabrina #2) by Marissa Honeycutt to read and review for this tour.